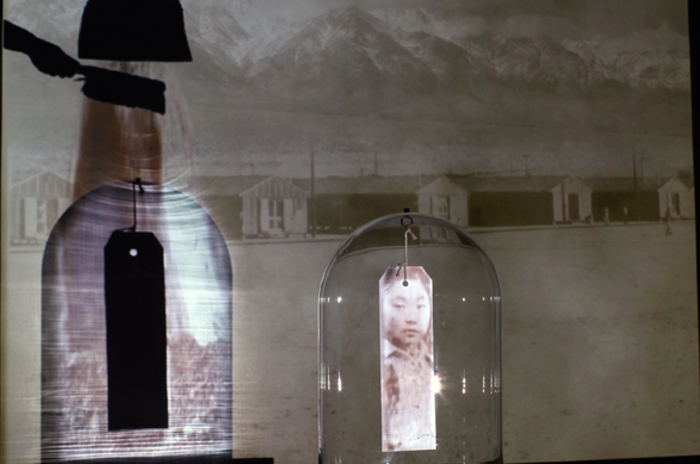 “Timed Release” is a series of intimate image theaters about surviving confinement. 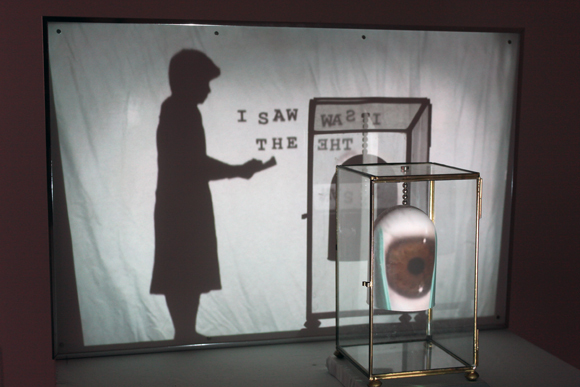 Generated from the interplay between projected animations, household objects and their shadows, these video sculptures are inspired by historic and contemporary individuals that have developed a creative refuge in order to endure extreme physical containment. The subjects researched for this project vary widely and include: Terry Anderson–reporter held hostage for seven years in Beirut, Jean-Dominique Bauby–author/editor with “Locked-In Syndrome,” Japanese-American citizens–relocated to internment camps, Nelson Mandela, and others who have transcended the absurd with an internal creative drive that sustained their hope and sanity. Hostages, detainees, prisoners, slaves, people living under dictatorships, and soldiers stuck in trenches have all devised survival strategies in which they concede utter powerlessness while secretly nurturing a spark of creative regeneration. 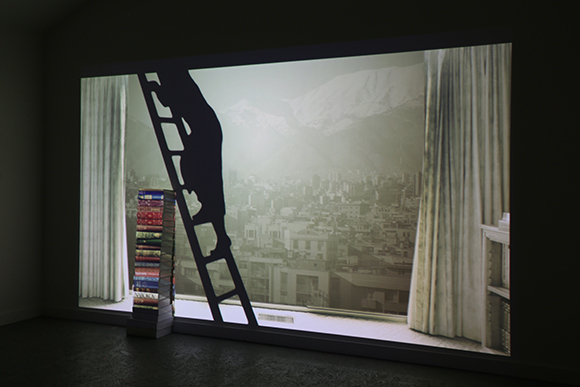 In each tableau, an everyday object or paper cutout is illuminated by a single video projection, carefully masked, to animate the surface of the object and the wall behind it. As each narrative unfolds, the real shadow of the illuminated object interacts with shadows of non-existent objects in a perturbing vision of unreality. In contrast to a painted or sculpted portrait that is frozen in time, these images coalesce gradually as the viewer reconciles the visual dichotomy of the real and the unreal. It is through this very act of mediation that “Timed Release” draws a parallel between the viewer’s and the captive’s experiences. 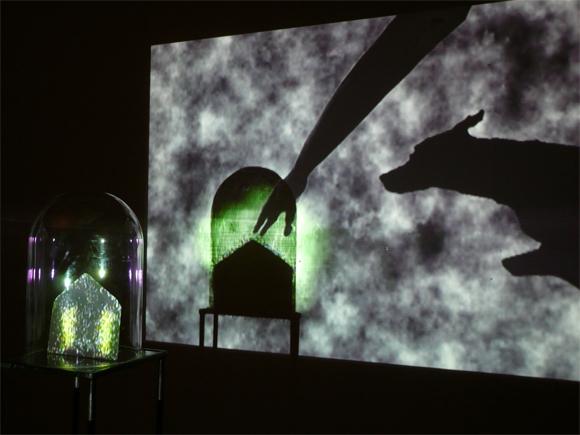 For the viewer, the experience is one of fluctuating between two perceptions of the same tableau. For the prisoner, the challenge is to balance the coexistence of hopelessness and creativity.